AUSTIN, TEXAS – The Women’s Flat Track Derby Association (WFTDA) is proud to announce today that Tiger Bay Brawlers have been accepted as a member of the WFTDA, the international governing body for the sport of women’s flat track roller derby and a member organization for leagues to collaborate and network. As a new member of the WFTDA, Tiger Bay Brawlers joins the ranks of 197 all-female, skater owned and operated leagues worldwide that have united to lead the sport of women’s flat track roller derby. After successfully completing the WFTDA Apprentice Program, they can now enjoy the benefits of full WFTDA membership, including the ability to compete in sanctioned games that qualify for WFTDA ranking. Tiger Bay Brawlers will begin their WFTDA membership a Class C member in the East region. 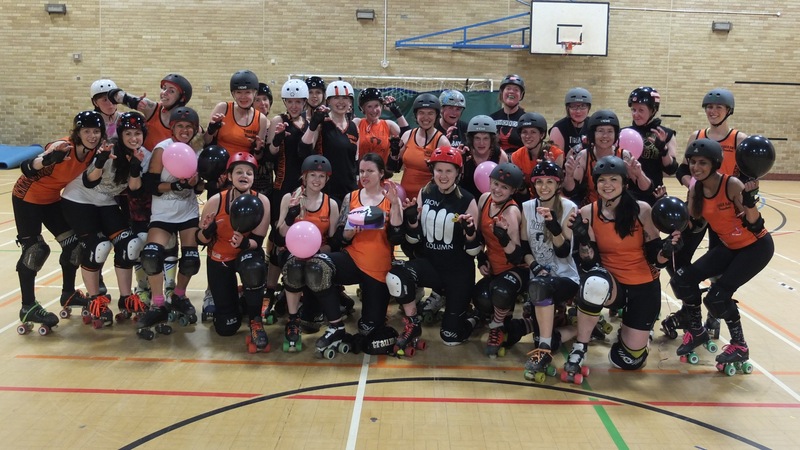 Tiger Bay Brawlers would like to extend a huge thank you to everyone who helped them through this process, most notably the Rocky Mountain Roller Girls, Winona Fighter (RMRG), Royal Windsor Rollergirls, Bette Noir (London Rollergirls) and the WFTDA Apprentice Team. The Cardiff team’s first official WFTDA sanctioned bout will see them take on Malmö Roller Derby’s Crime City Rollers on Saturday 7 September at Talybont Sports Hall, Cardiff. This game will be the first step to Tiger Bay entering the WFTDA ranking system, something which can only happen when three fully sanctioned bouts have been played.